Scrubbers remove unwanted gases and particulate matter from industrial smokestacks before they enter the atmosphere. The two main types of scrubbers -- wet scrubbers and dry scrubbers -- can reduce up to 90 percent of emissions that contribute to smog and acid rain. 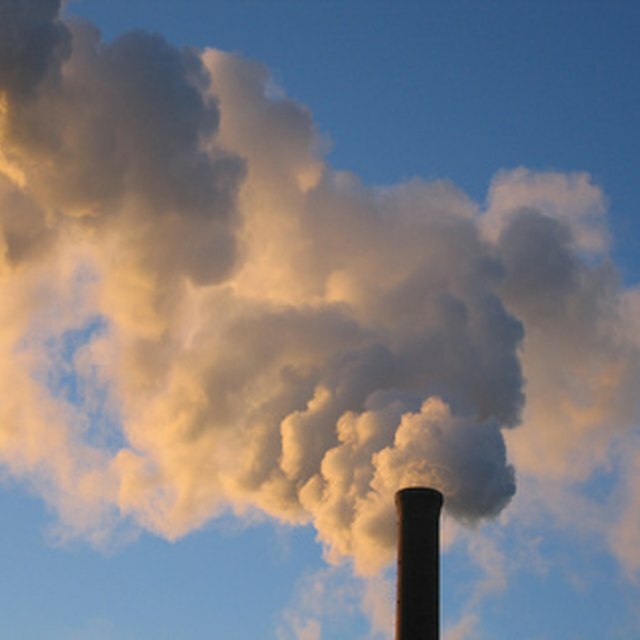 In 2005, the Environmental Protection Agency (EPA) required a 57 percent cut in sulfur dioxide and a 61 percent cut in nitrogen oxide emissions from power plants by 2015. The EPA estimates that more than 65 percent, or 13 million tons per year, of sulfur dioxide in the U.S. comes from electric utilities -- 93 percent from coal power plants. 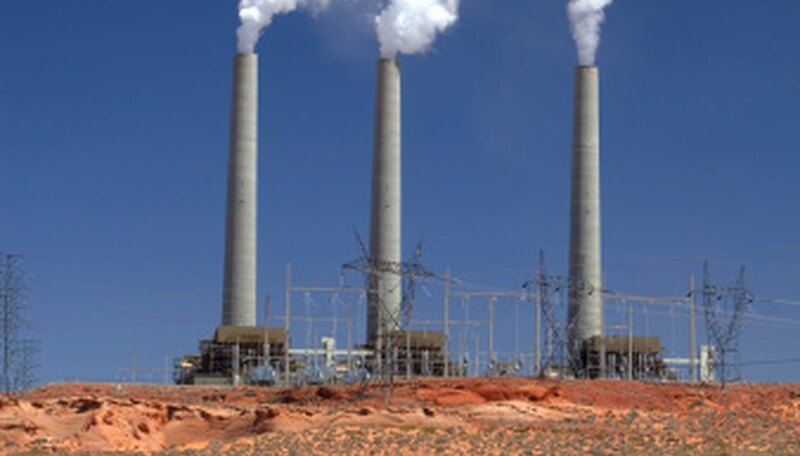 A June 2008 EPA survey of coal-fired power plants found that 209,000 megawatts out of 329,000 megawatts of capacity, or 63.5 percent, had no scrubbers. Burning coal to produce electricity releases sulfur dioxide, nitrogen oxide and carbon dioxide, as well as metals like mercury. The sulfur particulates can be partly removed with scrubbers. The first scrubbers dating back to 1967 converted the trapped sulfur into sludge and solid waste. Newer scrubbers can recycle the waste as a dry powder to be used to make wallboard and other commercial building products. The EPA estimates that only 30 percent of this waste material is recycled, with the remaining being dumped at landfills. Wet scrubbers force the polluted fumes to pass through a wet limestone slurry that traps sulfur particles. These types of scrubbers can be used to control particulate matter less than 10 micrometers as well as inorganic gases such as sulfur dioxide, chromic acid, hydrogen sulfide, ammonia, chlorides and fluorides. Wet scrubbers may also occasionally be used to control volatile organic compounds (VOCs). The spent solvent is then disposed of in an environmentally approved manner. Venturi scrubbers are wet scrubbers that force emission gases through a liquid solution, but at a higher speed to atomize the scrubbing liquid and more efficiently wash out the pollutants. Condensation scrubbing causes the pollutants to condense so they can be easily removed. Impingement-plate scrubbers force the emissions up a vertical chamber with water flowing down the sides of the chamber to trap sulfur particles. Most coal-fired power plants with scrubbers use a wet scrubber system. Dry scrubbers have an efficiency of over 90 percent for removing sulfur dioxide under the right conditions, but they are limited to small- to medium-sized power plants of about 200 MW. Of the 120,000 megawatts of power generated from coal-fired power plants with scrubbers, only 16,200 megawatts come from facilities using a dry scrubber system. There are some advantages of using this technology, including low waste disposal costs and low water consumption. Other contaminants treated by dry scrubbers include polycyclic aromatic hydrocarbons (PAHs), hydrofluoric acid (HF), hydrochloric acid (HCL) and heavy metals. Barber, David. "Types of Scrubbers." Sciencing, https://sciencing.com/list-7416802-types-scrubbers.html. 09 January 2018.